The Life Insurance Association Singapore has announced a ‘significant uptake’ with sales across both single and annual premium products up in the first six months of the year, with premiums collected on new policies up 10% to S$1.68bn (US$1.2bn), compared to 2016 figures. The LIA Singapore said in a statement announcing the figures that it has seen continued strong growth from the first quarter, having recorded a 10% increase to S$547.3m in weighted single premiums and a 11% increase to S$1,13bn in weighted annual premiums. Health insurance premiums totalled S$154m for 1H2017, of which Integrated Shield Plans (IP) premiums and IP riders accounted for 90% (S$139m). The remaining ten percent (S$15m) came from other medical plans and riders. As at 30 June 2017, 2.92 million lives (approximately one in two individuals in Singapore) are now insured. Patrick Teow, president of LIA Singapore, said: “We are encouraged that the industry continues to grow from strength to strength. While we tirelessly work towards narrowing Singapore’s protection gap, helping Singaporeans to be better prepared for retirement is also a priority. Teow added that retirement planning is an “ongoing concern” for both pre-retirees and their children because by 2030, there will only be two working adults supporting one retiree, as compared to about five per retiree last year, accorifn to the LIA Singapore’s statistics. “The younger generation will be shouldering a greater financial burden of supporting the ageing population and ensuring that they have enough for other milestones, such as marriage and setting up their own families,” he added. There was an uptake of 10,680 policies designed to provide regular payouts to policyholders during retirement years, with approximately S$84m of weighted new premiums recorded over the half year, the LIA Singapore said. Employment continues to grow in the Singapore finance and industry sector, with an 8% increase in the number of employed individuals within the life insurance industry in. 6,857 individuals were employed by member companies, up from 6,328 staff and 14,355 representatives held exclusive contracts with companies that operate a tied agency force. 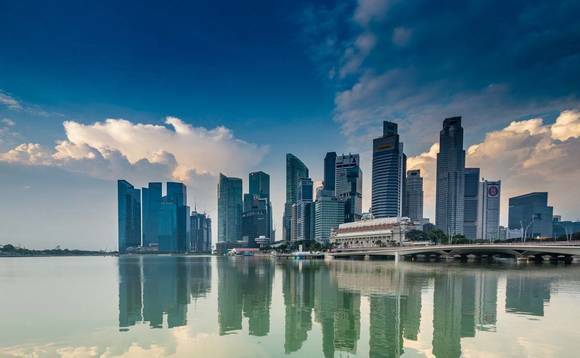 Looking ahead the LIA Singapore said that plans are afoot within both widespread large insurance companies and individual life insurers to make Singapore a “digitised nation”. It added that it will release the full results of it’s Protection Gap Study before the end of the year.